Yes, yes, I’ve been terrible about posting since arriving in France. Anyway, I’m in Bordeaux for the weekend, and I bought a bike. Actually, one of the teachers at school had already loaned me a bike, but it didn’t fit me at all — although there’s no denying its bright purple/violet color was quite stylish. But I’m very happy with this new one! 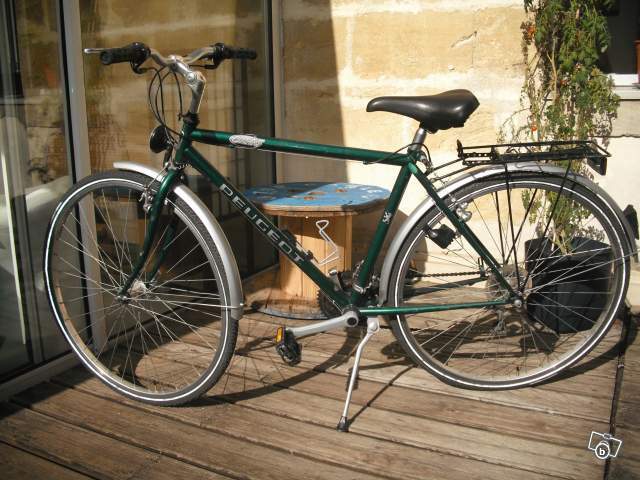 It’s a perfect practical bike for France — fenders, luggage rack, the works.